Later this year Microgaming will be unleashing a new online slots strategy. The impressive casino game developer has plans to increase its multiplayer online slots content. The games developer has caused major excitement among the online gaming community. The new strategy includes the incredible news that Microgaming will upload a new multiplayer online slots game to a wide array of casinos every month! The potential for new and exciting games this year is endless. Microgaming will launch it's new strategy with the release of The Finer Reels of Life slot. This game includes 243 ways-to-win, a luxurious theme, and multiple Finer Features bonus rounds. Players unlock the multiple bonuses every time a bonus symbol is triggered. The biggest wins are up for grabs by activating the wild symbols. The final bonus level is called Champagne and Diamonds. This level gives away 25 free spins and a Rolling Reels element. 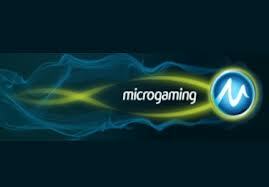 Micrograming's multiplayer online slots games will be featured in online gaming tournaments throughout the year. The first major slots tournament will be the March to Riches and multiplayer games will be an important new component. This tournament gives away up to $100,000 in prizes!